A Borderline Mom: Should I Stay or Should I Go? I'm having a conflict within my mind. But then I get torn... should we just stay in the midwest and travel to places like Maine? 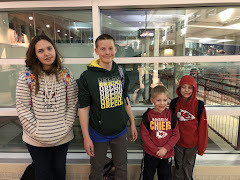 We've talked about taking a trip to a different state each summer with the kids and both Nick and I want to see the whole country at some point in our lives. I've been to California, Florida, Tennessee, Kentucky, Maine, Georgia, Kansas, Illinois, Wisconsin, Iowa, Missouri, Nebraska, Minnesota and I think that's about it. I have good friends in Arizona and California along with family in Missouri, Iowa, Florida and Maine. So, I have the potential to visit these places and have free room and board during my stay. I know that you appreciate things more when you don't have them. Maybe I wouldn't like living in Maine. But by traveling to Maine, I can enjoy it and appreciate it more. I live in a small town where the only excitement is watching the grass grow. You have to make your own entertainment. The nearest major airport is 180 miles away. Then there's family. My parents and Nick's parents live in my town. So does his grandmother who we are close with. I'd feel terrible separating my kids from their grandparents. That is a tough question you put out there. The thing about moving, is you can always move back if you hate it. The only down side to that is moving and having to find a new place to live and such.